Where’s the Originality in TV-Land? Flashback to 1968 when a new runaway hit TV show exploded onto the scene. 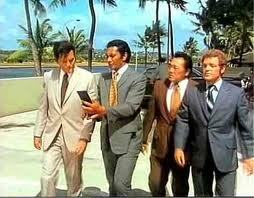 It was called Hawaii Five-0 because Hawaii was the 50th state and the show was filmed entirely in Hawaii. This was the first glimpse that many people had of Hawaii – a distant and exotic locale. 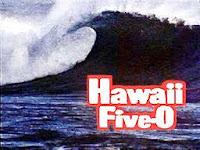 Hawaii Five-0 brought it into our living rooms each week for 12 seasons, from 1968 to 1980, making it the longest running crime show on American television until Law & Order surpassed it in 2003. The original cast featured Jack Lord as Steve McGarrett, head of Hawaii Five-O, with James McArthur playing his side-kick Danny Williams, Zulu as Kono Kalakaua and Kam Fong as Chin Ho Kelly. Everything about Hawaii Five-0 was iconic including the theme song which is one of the famous and recognizable of all time and Steve McGarrett’s famous line every week to Danny Williams - "Book 'em, Danno". Come September a “new and improved” Hawaii Five-0 will be returning to CBS. They are not calling it a remake they are calling it a “re-imaging”. If you put lipstick on a pig it’s still a pig, and this is still a remake. Steve McGarrett will be played by Alex O’Loughlin and Danny Williams will be played by Scott Caan. The theme song will be back and so will the line "Book 'em, Danno". My only question is why? Aren’t these brilliant, creative TV execs paid millions of dollars to come up with new ideas? Is the best that they could do was to resurrect Hawaii Five-0? Personally I’d rather watch the reruns. 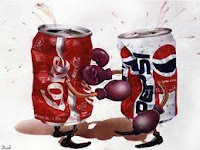 It's Pepsi vs. Coke all over again! Unless you have been living under a rock you can’t have missed the hoopla about iPhone versus Android. It takes me back to the early days of Mac versus PC which is still going strong ad nauseum. In both of these cases each side is firmly entrenched in their point of view and will not budge from their positions. iPhone users are downright evangelical about the product, regardless of the well reported problems with the phone and Steve Jobs problems in dealing with the problems. He actually had the nerve to suggest that people weren’t holding the phone correctly. 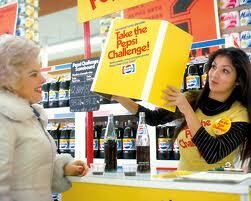 I suggest that we settle things the way that Pepsi and Coke duked it out with a series of blind taste tests. Known as the Pepsi Challenge, Pepsi and Coke began doing these blind taste tests in 1975 and continued into the ‘80s and ‘90s. They even continued the Pepsi Challenge in outer space when they sent specially designed cans into space aboard the Space Shuttle Challenger. Both brands came out the loser in that test as the astronauts didn’t like either one. Over 30 years later both companies are still battling for dominance in the “Cola Wars”. Obviously no one is actually going to ingest one of these phones, but I wonder how people would react if they didn’t know which phone they were using. Let’s do blind call tests with both phones (which you can hold any way that you choose) and see what the outcome will be in the battle of iPhone versus Android. Old Spice doing it Old School? Unless you’ve been living in a cave for the past couple of months with no access to TV or the Internet you’ve no doubt seen and been reading about the new Old Spice commercials. Old Spice playing off the popularity of social networking websites has taken this campaign to a new level. Women are infatuated with the actor Isaiah Mustafa and men are fascinated with “how did they film that”. This series of commercials are starting to win multiple awards for their creators. Yes, another award winning campaign. 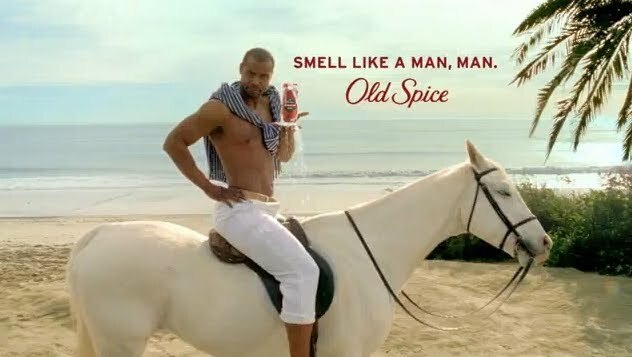 Yet with all the infatuation and intrigue surrounding these commercials, one old school question has gone unanswered (at least so far), have Old Spice’s sales increased? Yesterday I watched an interview on CNN with Jason Bagley the creative director behind the commercial. He was rightfully proud of it, talking about how successful it was in attracting attention and how it has become a phenomenon all in its own right. Yet when pressed by the reporter about if the commercials had improved sales of Old Spice body wash, the answers were evasive and he would merely say “the client was very happy”. Of course the client is happy; everyone is talking about their commercials which have significantly improved brand recognition, but can that be leveraged into sales increases and more profit? I must admit that I’ve been a naysayer to these commercials from almost the first time I saw them. The Old Spice commercials were not compelling me to go out and buy the body wash they were advertising. Yet yesterday on the CNN interview, they pointed out an interesting fact - over 70% of body wash products in the home were purchased by woman and not guys. So, the commercial is supposed to get women to buy the body wash for the man in their life. This is where Old Spice has gone Old School. I’m old enough to remember the Old Spice commercials from the late 60s where Old Spice was advertising their aftershave not directly at the men who would use it, but to his family (his wife and children). 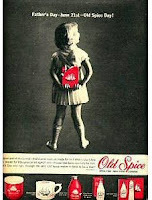 Everyone tried to whistle like the Old Spice guy; every little boy wanted his dad to put a drop of Old Spice on him just like in the commercials. Every kid I knew wanted to buy a bottle for their father for Father’s Day. They wanted their father to have that Old Spice smell. And yes, many of us did go out and purchase it or at least put pressure on dad to buy it. So while the sales figures for Old Spice body wash as a result of these new commercials haven’t been made public yet and we don’t know if they’ll be successful financially, they proven one thing even if it wasn’t intentional - that old school still works. What is this old school concept? Target your sales message to the buyers of your product and not necessarily directly at its users and at the same time make them appeal to both and it should be successful. Simply look to what worked in the past to see what will still work today. Is Apple Repeating Others' Historical Failures? For the past few years the world has been abuzz with the “breakthrough” device from Apple Computers known as the iPhone. 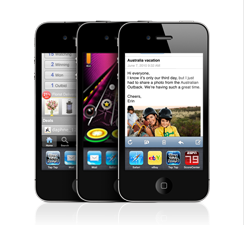 Just last month they sold over 1 million of i’s latest incarnation known as iPhone 4. People stood in lines for hours just to be one of first to possess this miracle device. Yet as everyone knows, as soon as these phones hit the market complaints about it have quickly spread, all relating to the loss of signal and dropped calls. I’m not going to go into the details as there are enough blog posts and news articles on it already, but I want to address how Apple is making the same mistakes companies have been doing throughout recent times. Apple's first response was to blame the users for not holding the phone correctly. Excuse me Apple, do you actually have the unmitigated gall to tell users how they should hold their phone? Did you offer courses on phone holding as part of the purchase of this phone? What about all the usability testing Apple claims to do with all their devices? If it was truly an issue about how the phone is being held that surely would have come up during usability testing or did Apple only use left-handed people who would generally hold the phone in their right hand? Next, they blamed a software glitch for reporting incorrect reception. Let’s see phone goes from 100% of the bars to Zero without the use moving. Oh yes, most certainly a software glitch. There are now even reports of the iPhone overheating during the charging process and causing the phone to melt. Further throwing fuel into the fire, Apple just the other day started deleting all the negative comments from their user forums. Did they not think people would notice that their comments would be deleted? Do they not know that Google and other search engines have cached copy of the comments? Did they think the public would believe it was an accident or oversight like the Watergate tapes? With this mountain of bad press the once irreproachable Apple is now facing a public relations disaster. Does this sound familiar? Earlier this year Toyota was faced with a problem regarding sticky accelerator pedals which they quickly blamed on incorrectly installed floor mats. We all know how that ended, and are waiting for the lawsuits to begin to find out what it really is going to cost Toyota. I doubt Apple will face lawsuits over dropped calls (of course with the US legal system anything is possible); however the impact on Apple's brand and potential future sales of future iPhones is up in the air. As we point out in the “Last Original Idea” those who don’t learn from history are bound to repeat it. Apple may have thought they were infallible and they didn’t appear to have a contingency plan in place to deal with bad product press. Instead of looking at how others have successfully handled similar situations they went and repeaedt a classic mistake and blamed someone else (their customers). All Apple had to do was look north of US boarder to Canada at how Maple Leaf Foods handled a listeriosis contaminated meat disaster where many people got sick and some even died. Maple Leaf Foods didn’t come out of the gate blaming stores or customers for how they handled the process meat. Instead they took ownership and launched a full recall and investigation as to the cause. Once the cause was identified they took out full page ads in major newspapers, purchased air on both TV and radio all for the purpose of apologizing to the Canadian public. They stated the plant in question would remain shut until they could prevent it from happening again. It also pointed out that they were meeting all government regulations at the time, but those regulations proved insufficient and were now going to exceed them. This tactic proved successful and the company is back to virtually where it was. While there is no proof (yet) that Apple knew ahead of time about the problems with the iPhone 4, their handling of it is proving to be a bigger disaster than the problems with the phone. People now know that Apple isn’t perfect (not that it ever was) and only time will tell what the total impact on their brand and future products will be. I was watching television - a truly rare occurrence - when a commercial actually got me to listen to the message. If you are like me, commercials drive you to distraction. I understand that they are designed to appeal to the lowest common denominator, but I truly don't believe that the denominator that they are appealing to really exists. This clever commercial was for the Coleman company. They make camping gear - tents, lanterns, stoves, etc. The commercial showed what looked like home movies from the 50s of families camping with scenes of family members pitching a tent, cooking, and sitting around a picnic table eating. The narration said that the Coleman company created their products to bring people together socially, therefore the Coleman company was the original social networking site. This company really gets it. There is nothing new under the sun. As Alan and I discussed in The Last Original Idea, social networking sites began with prehistoric men and women sitting around in their caves or around the campfire. The Coleman company may not be the original social networking site, but they played a part in its evolution and were clever enough to recognize it.